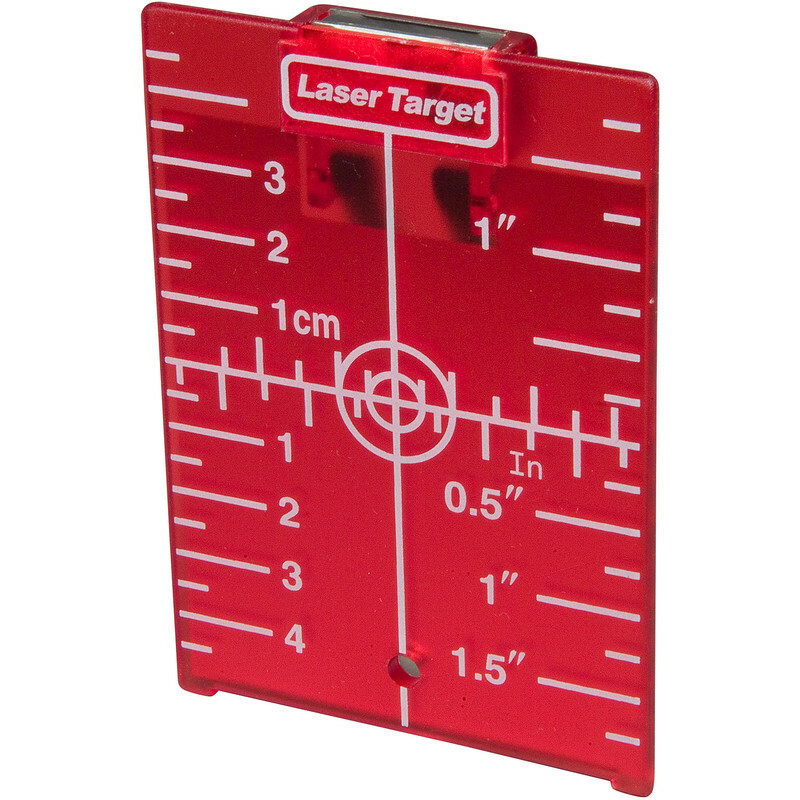 Laser grid target designed to enhance the brightness of the laser line internally and externally. Magnetic base for ease of use. White markings on the plate for easy to see and read the lines on the reference target. Suitable for Red/Green Lasers as applicable.